Continental was founded on 8 October 1871 in Hanover, Germany. Continental has always been in the forefront of technology. For example, in 1904, Continental presented the world with the first Automobile tyre with a patterned tread and in 1908 Continental invested the detachable rim for sedans. Continental already started to develop synthetic rubber in 1909, a major breakthrough in technology that brought about numerous benefits. In 1960, Continental started mass production of radial tyres. Continental is zealous about quality, and opened a dedicated testing facility called Contidrom in 1967. 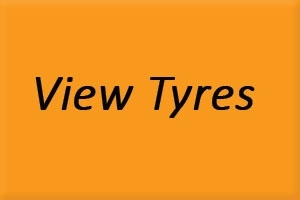 This facility is dedicated to ensure that all Continental tyres are top quality, safe and provide nothing less than excellent driving pleasure. Contidrom has since been upgraded numerous times, and is still operating to this day. In 1987, Continental acquired the North American tyre manufacturer General Tire inc. Continental has an excellent range of General tyres in South Africa, which offers superior value for money. The General Tyre and Rubber Company (SA) Ptd Ltd was established in 1947 by the Williams Hunt Group. Manufacturing started in 1948. In 1978, General Tyre in South Africa concluded a technical service agreement with Continental AG in Germany. This gave the company access to the high technology required to build high performance steelbelted radial tyres. In 1985, Continental approved the production of Continental branded tyres by General Tyre in South Africa. Continental quickly achieved great success in both the original and aftermarket tyre market. During 1987, Continental purchased General Tyre USA, this change was also effective in South Africa. Continental continues to invest heavily in South Africa, having spent well over R 200 million rand over the past 4 years. Continental is proud to have the only holographic tyre inspection facility in the southern hemisphere, which further enables it to produce the highest quality tyres. We love Continental tyres, and you will too!